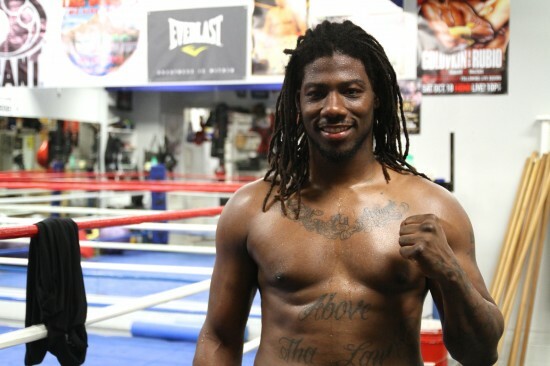 Charles Martin looks to emerge from the heavyweight shadows when he faces Vyacheslav Glazkov for the vacant IBF title at Barclays Center, Brooklyn on Saturday (televised on Showtime in the U.S., 10:00 p.m ET/PT). The St. Louis-born boxer-puncher who now resides in Los Angeles has been under-the-radar during his three-year pro career and is eager to make a name for himself in the heavyweight division. Both fighters sport nearly identical records, Martin (22-0-1, 20 knockouts) and Glazkov (21-0-1, 13 KOs). However, “Prince” Charles feels his southpaw stance will prove problematical for his Ukrainian opponent. 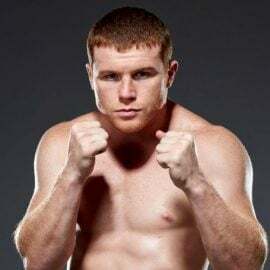 If Martin upsets the odds – he’s priced 11/10 (+110) with online gambling group bet365.com – he’ll become only the sixth southpaw heavyweight champion in history, following Michael Moorer, Chris Byrd, Corrie Sanders, Sultan Ibragimov and Ruslan Chagaev. Saturday’s Showtime Championship Boxing card will be headlined by Deontay Wilder’s third title defense when he meets Artur Szpilka. The undercard features unbeaten Polish middleweight Maciej Sulecki who faces battle-tested Derrick Findley and Amanda Serrano meets Helen Joseph for the vacant female WBO 126-pound title. A sprinkling of up-and-comers round out the card including Ivan Golub and Carlos Gongora. 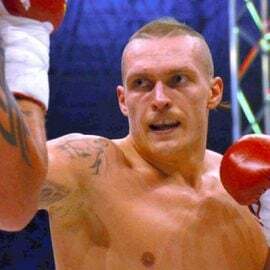 RingTV.com – What are your thoughts on facing Glazkov for the vacant IBF heavyweight title? Charles Martin – It’s a good thing. It’s perfect timing. I just came off a nine-week camp and then we got this shot. I was supposed to fight Dominic Breazeale, we pulled out of that one and go for the goal because that’s all the matters, getting the heavyweight title. That’s the most important thing and prized possession. We got so much training in, we’re just over prepared for this fight. I’m in excellent condition and we’re going to make it an exciting night. RTV – What does Glazkov bring to the fight in terms of strengths and areas you feel you can exploit? CM – He keeps his hands up in the first couple of rounds, he likes to throw little body feints, he has a good hook. On the down side, after a couple of rounds he tends to go downhill. He wants to carry the left hand low and that’s when we’re gonna capitalize on it, ’cause I get stronger as the rounds go. RTV – Glazkov has a wonderful amateur experience. He won silver at the World Championships and bronze at the Olympics. You don’t have this elite level experience that he does. CM – It’s a different sport, amateur and pros. I don’t even consider them the same. He had a lot of amateur success but I don’t look at any of that because it’s in the past and it’s not professional, not 10-ounce gloves, not headgear, it’s a different ball game. RTV – Glazkov has struggled against the likes of Derric Rossy and Steve Cunningham. CM – He’s a solid fighter. 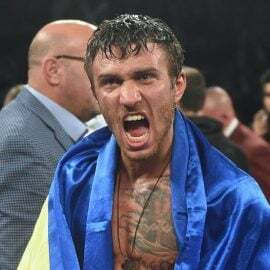 He’s gonna stand his ground but they haven’t put him in with guys that can really hurt him, like Malik Scott [Glazkov and Scott fought to a 10-round draw in 2013] and all these guys, they’re solid fighters but they’re not no elite-class fighters. I’ve been in the gym with them guys, they don’t pack a punch, nothing that’s a threat. That’s what I mean when I say he hasn’t been in there with nobody like me. Even though they say Cunningham, he’s a little heavyweight, he should be a cruiserweight. RTV – But it could be argued that you haven’t faced anyone like him before. CM – I have to beg to differ [laughs]. 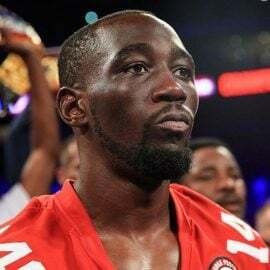 RTV – You are the chief support to Deontay Wilder-Artur Spzilka, what are your thoughts on being on such a big card on Showtime at the Barclays Center? CM – It’s crazy, it’s gonna be beautiful. I’m happy to be a part of it. I’m always there to steal the show, just put on my performance the best way I can. Everything in the dark comes to the light, it’s only a matter of time before they know who I am and what I’m about. RTV – This fight very much offers you the opportunity to gate crash the changing heavyweight scene. CM – Definitely. It’s a new era of guys, it’s a beautiful thing. I’m happy to be a part of it, there are only a handful of greats in each era. The only way to be considered the best is fight the best and that’s what I wanna do. I want them to say “Prince” Charles Martin, he was the bomb, he was a force. RTV – What are your thoughts on the heavyweight division? CM – It’s pretty solid. I don’t see anyone that’s the complete package, I can’t look at any of the fighters and say they are complete. I only can look at myself and say I’m complete because, watch, you’ll see, if you’re watching on the 16th you’ll see what I mean by complete. The only thing I’m missing is a six pack [laughs]! RTV – If we go through the RING magazine ratings at heavyweight can you share your thoughts on each of your contemporise? C – Tyson Fury – He’s a good fighter. I’m very happy for him, he was able to dethrone that guy that’s been on the top for nearly 10 years. He went in there and handled his business accordingly. 1 – Wladimir Klitschko – I wanted to knock him out and become a superstar overnight. We were praying we could get him before Tyson, he was No. 1 and I was No. 2 [with the WBO], he had the spot before me. He’s an old guy. In his good days that offense he had was insane, and how his footwork was, he was like a master fencer. He’s always been a scared fighter, he doesn’t have any offense anymore because he’s afraid. 2 – Alexander Povetkin – He’s good, a solid fighter. 3 – Deontay Wilder – He’s solid. I want to see how this fight turns out. It’s like he’s always getting guys that are easy. Szpilka got knocked out by Bryant Jennings and Bryant Jennings don’t got knockout power, he always gets blessed with some easy guys. I’m not saying they’re nothing but compared to how big he is it’s an easy fight. 4 – Kubrat Pulev – He’s not very good, not my taste. He doesn’t have knockout power. In the heavyweight division if you don’t have nothing to keep a man away it doesn’t mean anything. 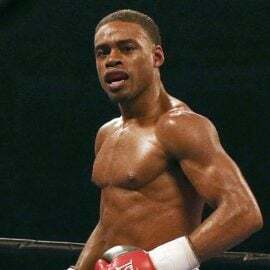 You could be the greatest Mayweather boxer all you want, nobody wants to see guys go the distance, just like Malik Scott, he was winning a lot of fights but he never got recognition and became anything because he wasn’t knocking people out. 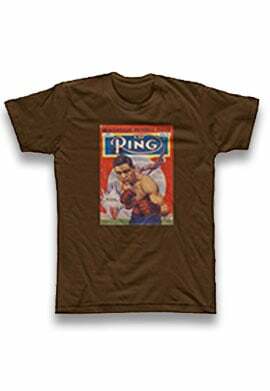 5 – Luis Ortiz – He’s a good fighter but when he got popped for steroids I lost all respect for that guy. It put him in a different light. We’re all people and we want to be treated accordingly, we don’t want nobody cheating. In that case, let us all cheat, use steroids. You can’t get busted for using that stuff and then think I’m gonna give you your props. You ain’t getting no props from me. 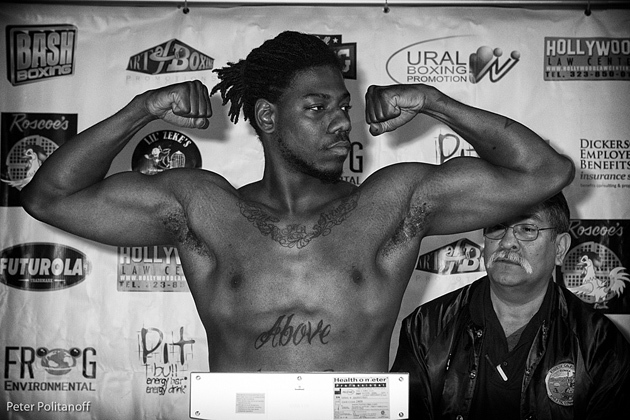 6 – Bermane Stiverne – He’s not an elite class fighter. I don’t consider him a top-10 fighter. 7 – Vyacheslav Glazkov – I’m gonna knock Glazkov out! 8 – Bryant Jennings – He’s small, some of these guys should be cruiserweights, they’re only 15 pounds from cruiserweights. They might just as well lose the weight [laughs] they’re too little. He could throw solid combinations but he tends to lay back on his back foot with his hands high and absorb punches and that’s what happened with Ortiz, you can’t do that with everybody. He’s not illusive, he tries to move around but it’s not intelligent movement. He’s alright. 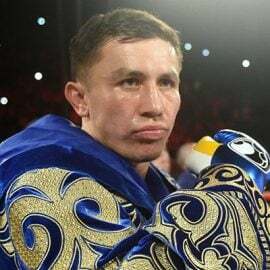 9 – Ruslan Chagaev – I never watched him, I heard the name. 10 – Anthony Joshua – That’s a good fight for me, I want that fight. That’s like a $20 million fight. Joshua is a solid dude, I give him respect, he got hurt in his last fight and weathered the storm and came back and got rid of Dillian Whyte. I would love to have that fight in the future or massive bucks. RTV – If we go back tell us about your back story? CM – I was born in St. Louis, I moved from there when I was 12 years old. I lived in Colorado Springs and then Phoenix, I’m like a nomad. I can’t really say I’m from anywhere, I grew up everywhere, a couple of years here, couple of years there. We left St. Louis before I was old enough to run the streets because my parents didn’t want me in that environment because it’s very violent growing up. We had a fight every day. As a youngster, 6, 7, 8 years old, I had a fight every day. I lived down the street from a family of 17 kids; they had brothers every age from 6 to 15 so if I beat one I had to fight the next one. I learned how to fight from a young age but I never liked fighting, I never was a bully. I never saw any glamour in that. I was a good guy growing up, didn’t get into any trouble until I was a teenager then I wanted to be something that I knew I wasn’t, guns, selling drugs all that stuff. I went to jail a few times for misdemeanors but I got out of it and I changed my life around and got into the church and took care of me. I just needed some guidance. Everybody needs to learn from somebody, at the time I didn’t have the people I do around me now with your best interest in mind. I was doing construction work since I was 14 in Colorado; I’ve always been a manual type of worker. I was working since I was young, I know about hard work. That was after I got expelled from school, it was close to the summer, I worked the whole summer. When I went to Phoenix, I had my first son, so I had to get a job, I dropped out of school in my junior year, later on I got my GED, that’s like the equivalent to a high school diploma. I worked at that the grocery store, I did landscaping, construction. I had a kid at a young age, I was going to go to the military but passed that up, boxing had other plans for me. I’m glad I’m boxing instead of the marines. My first son’s mom’s brothers they knew about boxing, they used to box, they were construction workers, I rolled with them a lot. They were into boxing so we used to do some boxing every now and then, so I had hands, I had a real stance of boxing but I wasn’t competing until I came to California at 23. That’s been really my boxing career since I’ve been out here, I’ve been boxing consistently for 6, 7 years. I started hitting the gym when I was 19 but I was still drinking and having a good time so I wasn’t taking it serious. I wasn’t competing but I eventually got to it. RTV – Away from boxing what do you like to do? CM – I got four children. I like to do a lot of stuff, I go with the flow, whatever my lady likes to do. I’m open minded. Go to the observatory, I like science, so we go to the observatory at least once a month, museums, I like to travel, I’m finally going to use my passport after this fight. RTV – In closing do you have a message for Glazkov? CM – I’m a pretty respectful guy. I let my hands do the talking. I’m not big on talking crap. We’ll see about it when we get in the ring because at the end of the day it’s a fight.